The jeans are a few years old and have gotten better with age. I love the back pocket design and distressing. Most of it is from natural wear and tear which I think looks better. 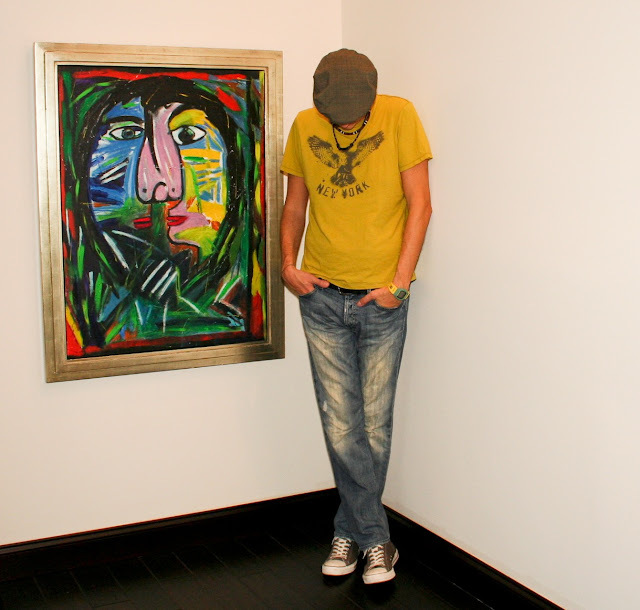 The chartreuse color of the Banana Republic T-shirt caught my eye right away. I painted the artwork in 1999, it has some of the colors I'm wearing. 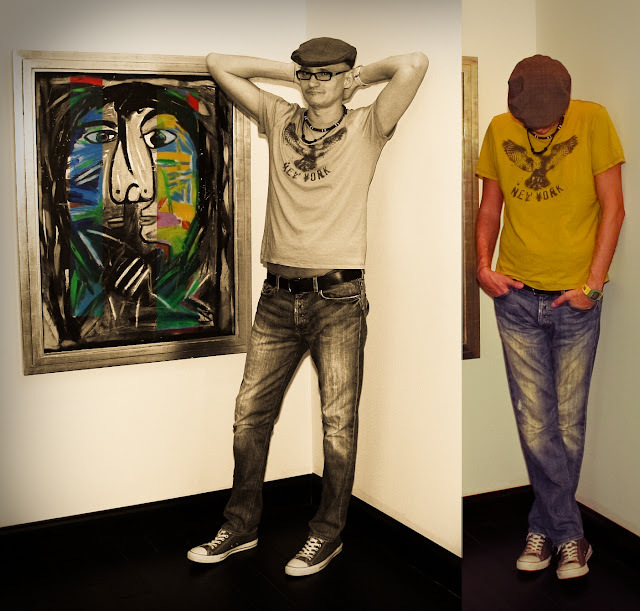 I think style and art are closely related. There is a Charles Bukowski poem that explains this better than I can. I know this look isn't really stylish but it's some of the stuff I wear, and I post it to make a point. If you think about it everything is art and style. Even shorts with white crew socks and a football shirt. I just wish they didn't allow that look in decent restaurants. It's the look too many guys my age seem to go for and several years ago I might have done the same. 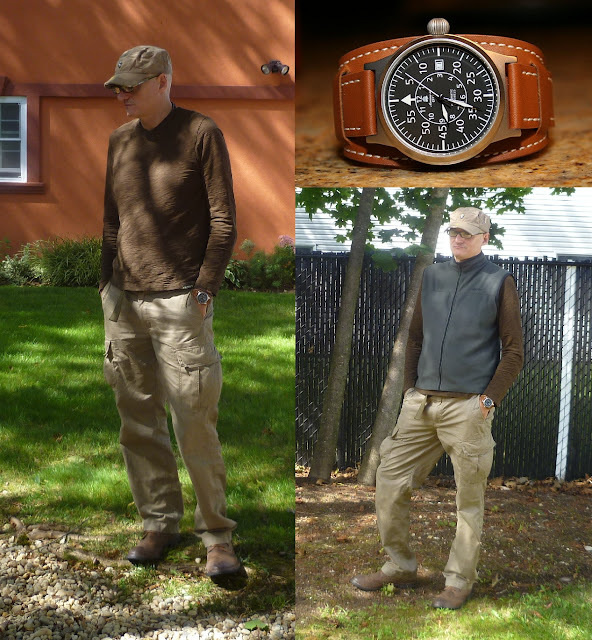 I posted this look because most guys are gear heads and I kind of think of clothing as gear for a specific purpose. It doesn't always need to be sports related. I think guys would dress better if they looked at style this way and weren't embarrassed to go shopping for things that were a little different from what they are used to. I started riding without any special gear except for the helmet but realized it's more comfortable with the right clothes. The shorts I used before were uncomfortable to ride in. 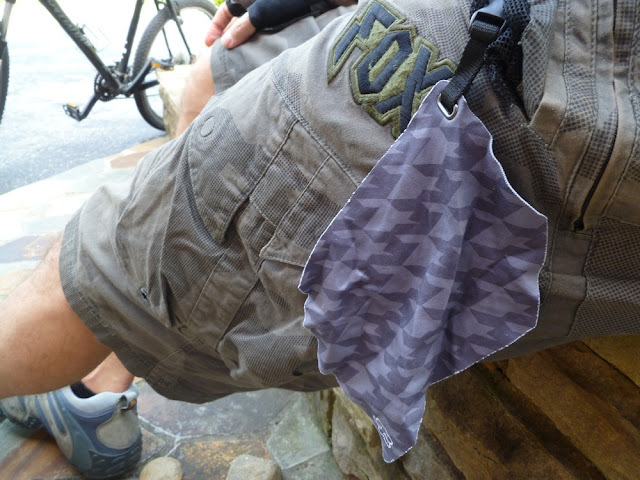 I didn't want to get spandex shorts so I found these cargo shorts made by Fox specifically for biking. They allow for all the movements you will make on the bike and they also have some cool features. 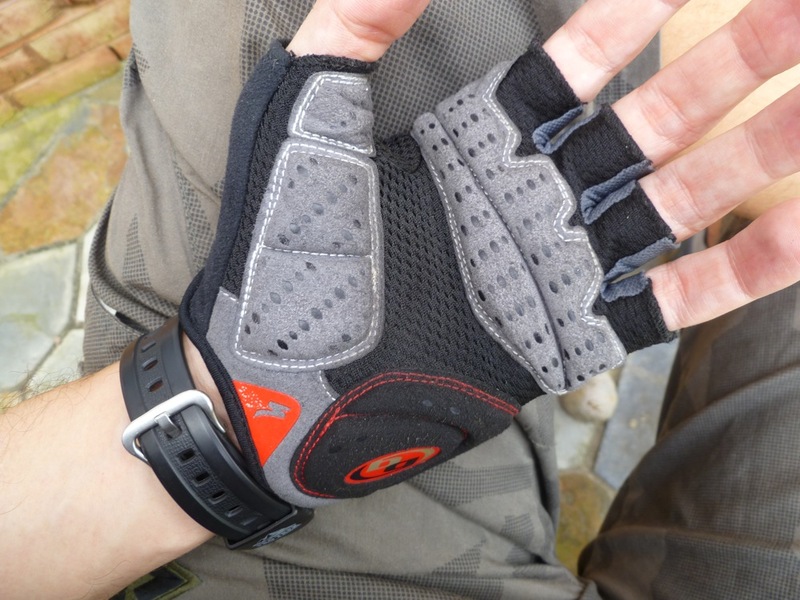 They come with a padded inner short that is removable but comes in handy on longer rides.They also come with a micro-fiber cleaning cloth for your sunglasses that is stored in one of the small pockets. 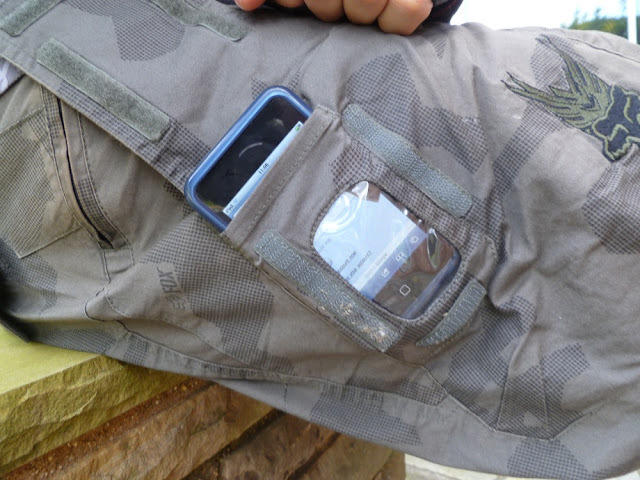 There is a nice compartment to store your phone or Ipod. The pocket closures are all magnetic which is great for quick access. Only bad thing about that is if you walk next to anything metallic you will feel a little tug on your shorts. The side pockets have zippers. When you are riding in the woods it's good to be able to zip the pockets so they don't catch on anything. 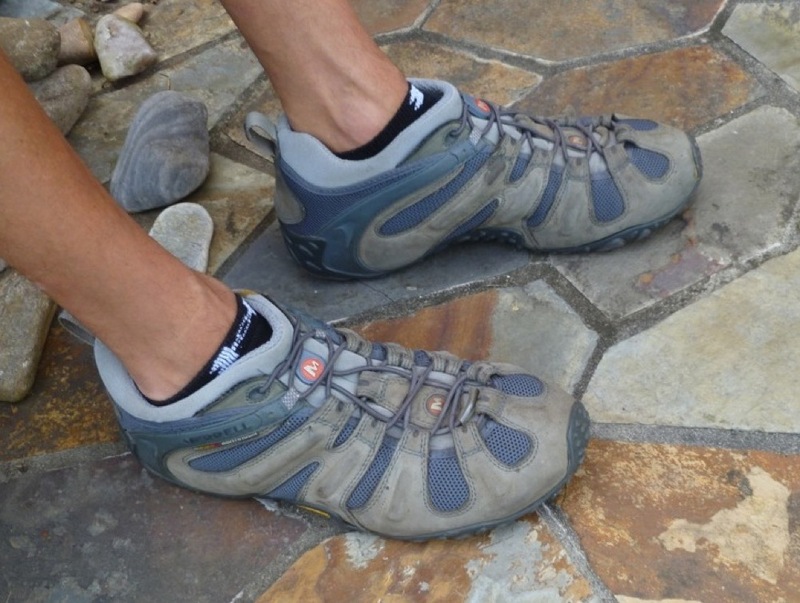 The Merrel sneakers are good for riding and hiking. They are light and have no laces to get caught in the chain. The shirt is also made by Fox. It has a generous front zipper to control cooling. The back has a zippered storage compartment that is large enough to hold a bottle of water. 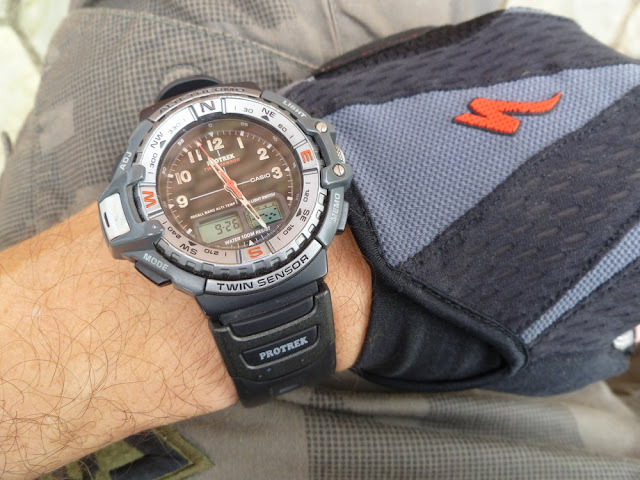 The watch is a Casio Protrek. It has a temperature sensor, altimeter, and a barometer. The temp sensor is useless when you have it on since it captures the heat of your body but the other sensors work well. The gloves are made by Specialized and I never ride without them. They give you a lot of extra grip, comfort, and protection from scrapes. For anyone still reading you must really be into mountain biking so I'll just mention that the bike is a Specialized Rockhopper and the helmet is made by Giro. Suits are very important for men. I don't wear them often but when I do I like to wear them the right way. I like how men wore suits in the 1960's and fortunately that style is coming back. I saw a picture of Marlon Brando in the 60's wearing a suit perfectly so that is my role model. Fit is everything in a suit. If it doesn't fit right it doesn't matter if you spent $1500 because it's not going to look good. It's better to buy a less expensive suit and have it tailored to fit your body perfectly. The pants should be slim and just barely touch the shoe. The jacket should not be too big and the sleeves not too long. A good tailor knows how a suit should look and it's well worth the investment. 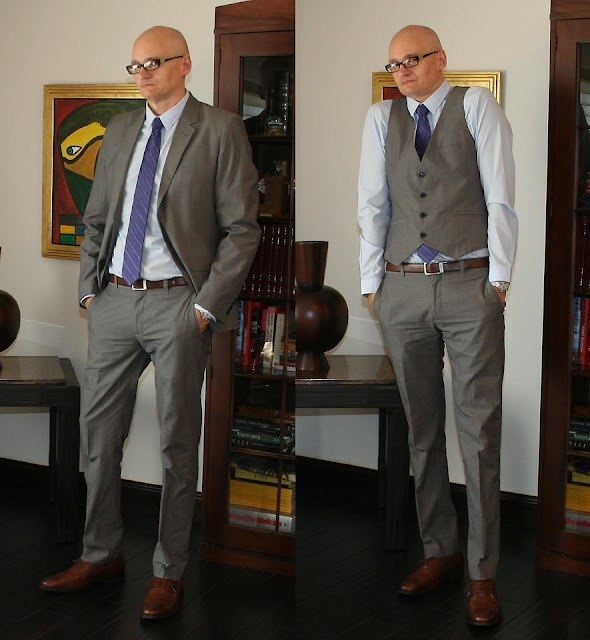 The grey suit is from H&M and I did not have it tailored. I'm just lucky that this brand usually fits me perfectly. I did not expect that would be the case with a suit but it was. It was a nice surprise. The pants were $30, the jacket was $50, and the shirt was $15. I don't know where you can buy a better looking suit for that price. I do not wear a vest with a suit but like how it looks without the jacket. The vest was $30. The tie is from Calvin Klein. It's a slim tie that I prefer and was $20. 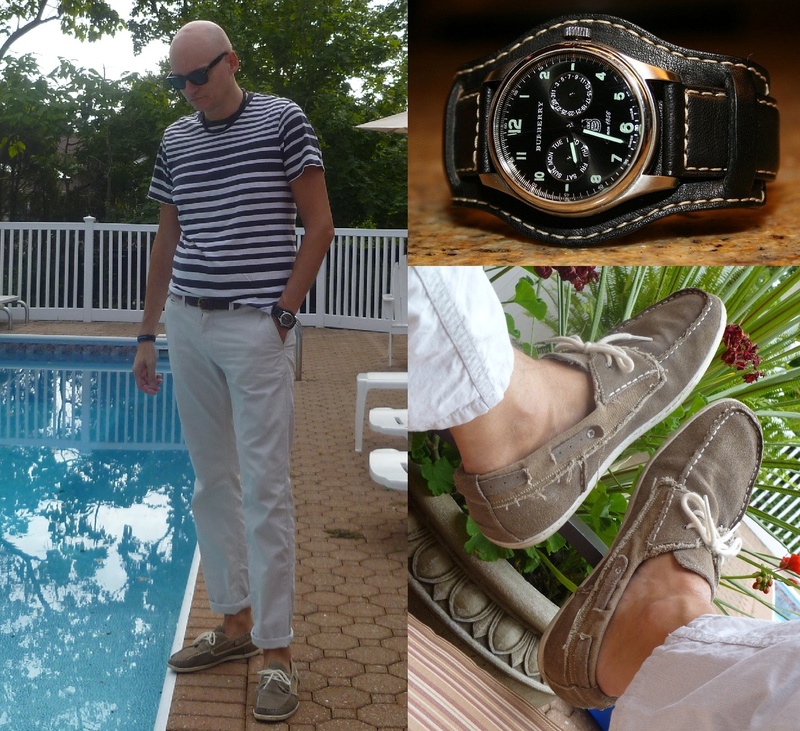 The belt is from the gap $20, and the shoes are Florsheim Imperials $170. I like wingtips with suits. It's a classic look that always looks great. Brown shoes and belts go very well with grey or navy blue suits. I like combining grey, purple, brown and sky blue which I did with this look. The socks are purple. Black is just too boring. 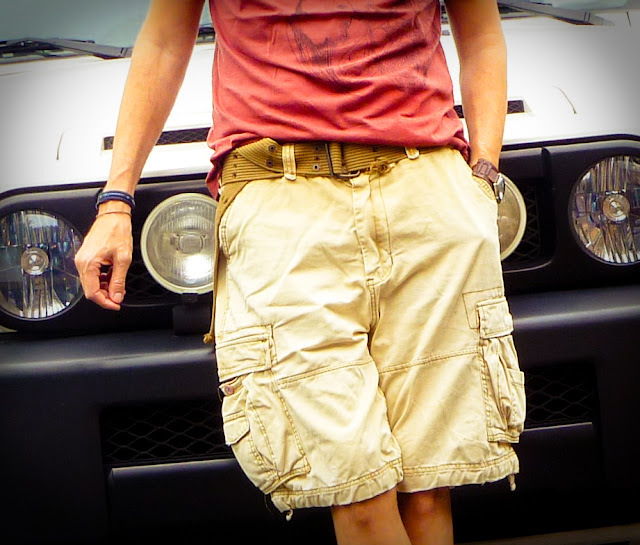 I like cargo shorts but not if they are heavy. These are light yet durable. 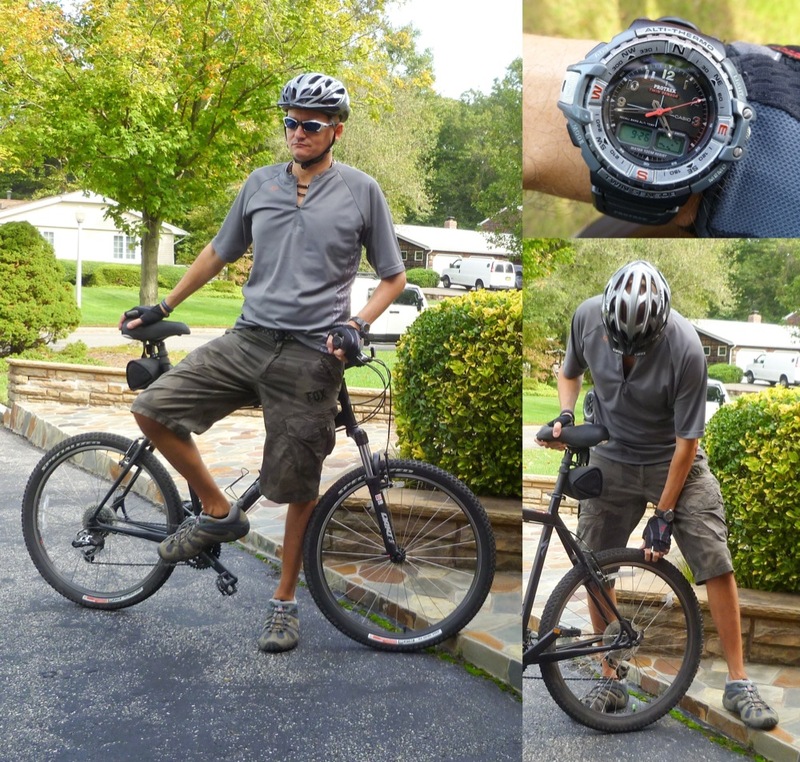 The watch is from Fossil. I like the brushed aluminum finish and leather cuff band. The T-shirt is from Buffalo. I got it as a gift and it turned out to be one I like for a change. The hat is another from my A. Kurtz collection. Listened to Nevermind all the way through. It was 20 years ago today that it was released which is hard to believe. I hope this look smells like teen spirit. Rainy day, rain all day. A trench coat is an essential item in any mans wardrobe. They are very useful and never go out of style. This one from Saks has lots of pockets and buttons that you can play around with for different looks. 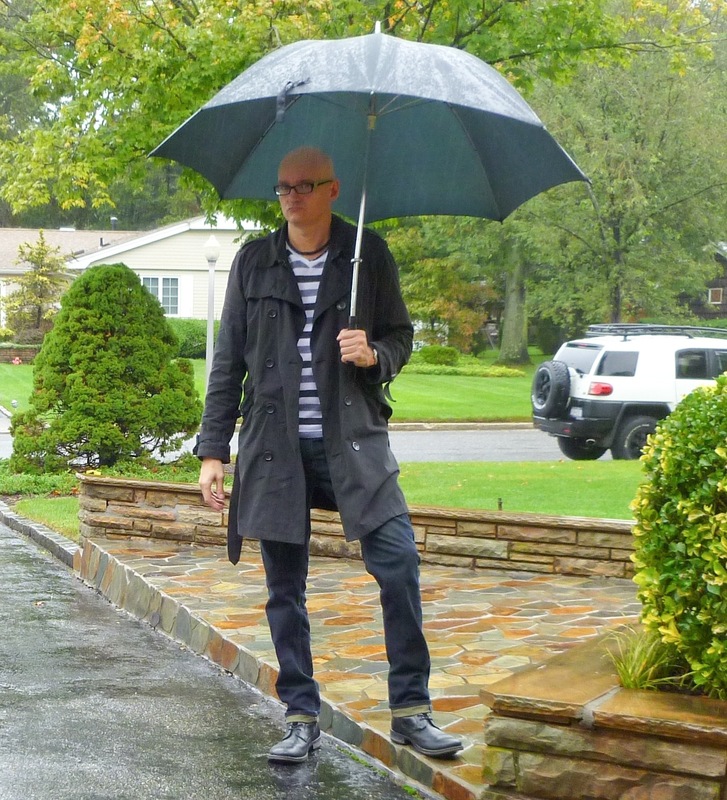 If you have the right clothes it's fun to walk around the city in the rain. I do need some kind of rain boots but I haven't found any I like yet. Until I do I'll just avoid stepping in puddles. Summer is gone but the weather was warm today and the memories are still fresh. I guess this an aquatic sailor look. Probably something cool to wear on a yacht if I had one. The pants are a very nice ivory color with tiny pinstripes that can't be seen from a distance but look great. The boat shoes are made by Steven Madden and I really enjoyed wearing them all summer. The watch is Burberry. 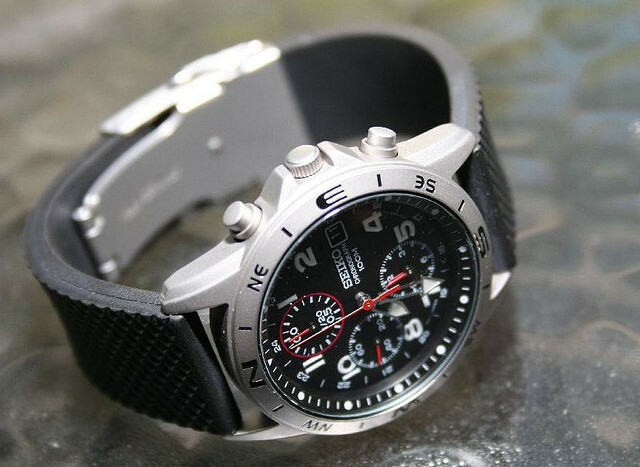 It's Swiss made and I was able to get it on Ebay for a good price. As with all watches I enjoy the looks and don't care much about much else. I prefer inexpensive watches that I don't have to worry about insuring or taking special care of. One of my favorite films of all time is Metropolis by Fritz Lang. This T-shirt by Obey always reminds me of that movie. The beret is from northern Spain where my family is from. I've been told it's unusual and ugly. More the reason to wear it although I usually only wear it with a military style jacket. The pants are H&M slim leg jeans. I hate baggy, relaxed or anything like that. Glad the skinny jeans are in style now. I don't wear them because they are in style, I just like them and I'm stocking up just in case they stop making them. The boots are Steve Madden. I love Madden shoes and they always fit me which isn't easy. I'm 6'4" and wear size 13 shoes but I'm more like 13.25 some brands are tight on me. Fortunately Steve Madden have a line that I enjoy. The watch is a Seiko with a different strap that I picked up on Ebay. A few days ago it was beach weather. Today it was chilly and I just wanted to be warm. 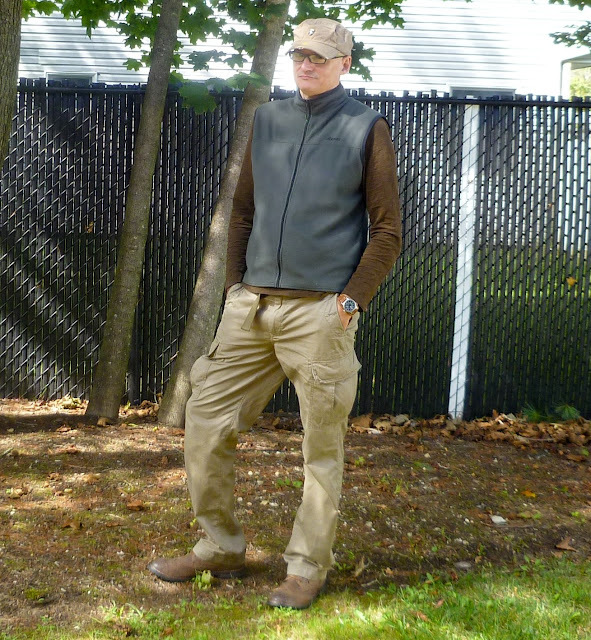 I don't think the vest is stylish but it's light weight, breathable, and great for layering. I can go to lunch at a restaurant and later for a hike in the woods without having to change. 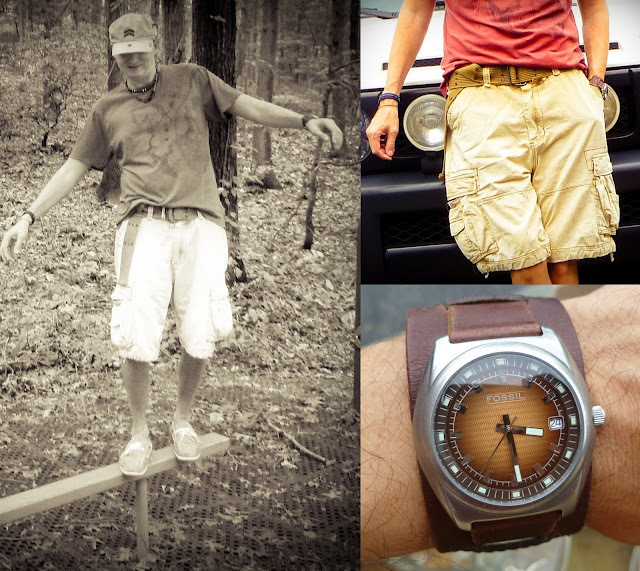 The cargo pants are practical and comfortable for long walks and light hiking. 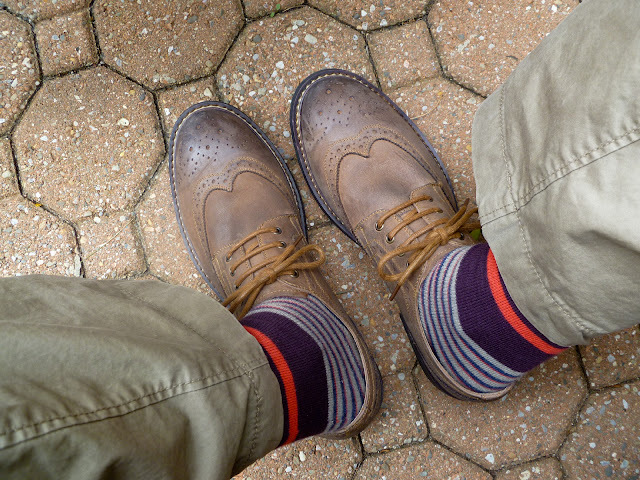 The rugged wing tip shoes add a little style. I found the watch on ebay. 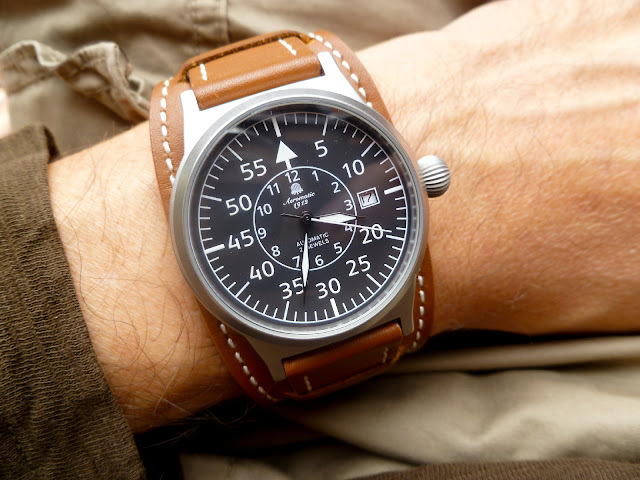 It's a classic military style that I wear with different types of bands. I think it looks best with this bund style strap in the picture. I like to be colorful with socks lately. You only live once! I love Paul Frank T-shirts, especially the Andy Warhol editions. They are fun and go with anything. The watch is from 1983. My dad bought it for me when I was a kid. It's crazy that I've only had to change the battery one time! The black jeans don't really show up well with my poor photography but trust me, they are nice. 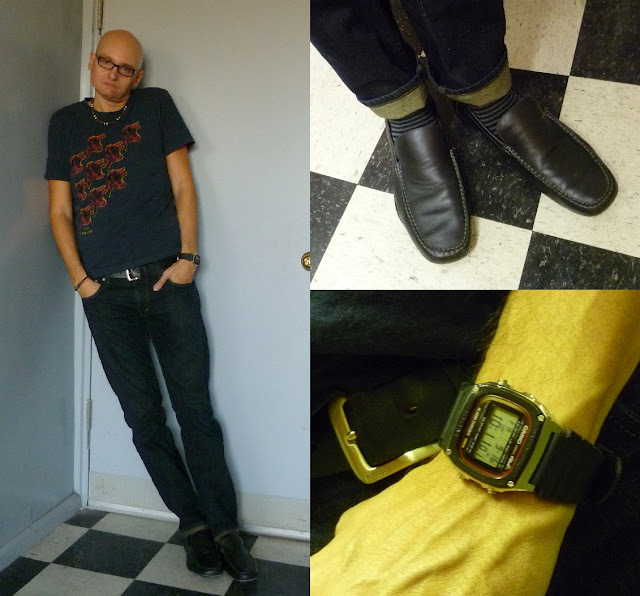 Each Levi's 511 jean fits a little different. I kind of like that about them. They are called "skinny" but it's just the right amount for my taste. The shirt is from H&M. I liked the color and pattern. I've been told the A. Kurtz hat is a favorite of Enrique Iglesias but that's not why I wear it. The Converse come with both grey and white laces. I like how the white contrast more. The watch is a vintage Casio from 1983. This was before the G-shock era but with this style you could see how they got there. It was basically one of the first G-shock watches before they started using that name. 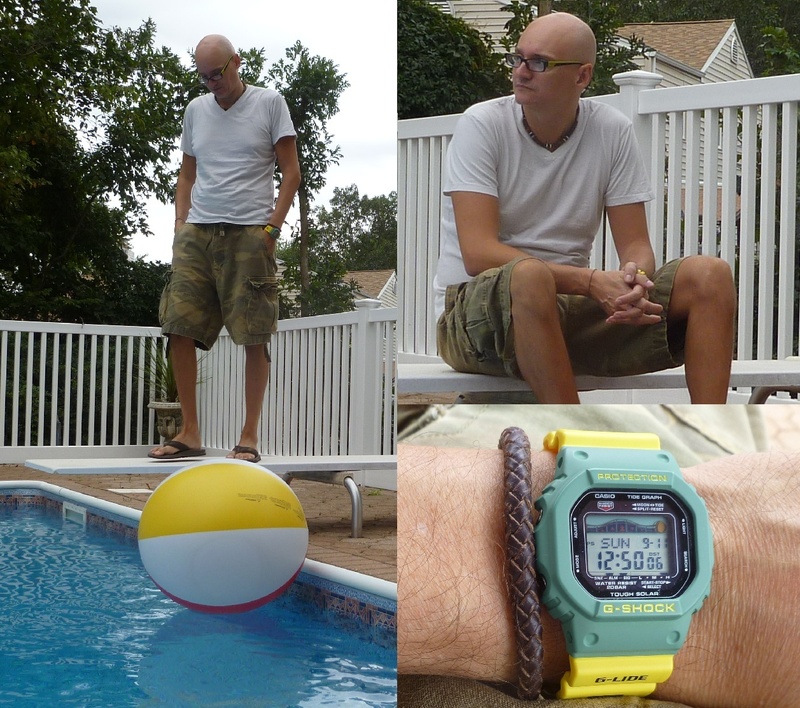 The watch is a limited edition surf-rider solar powered G-shock. I was lucky enough to win an Ebay auction for one right after they came out. It's a fun watch for the summer. I'm not in love with the cargo shorts but they are useful and have been washed so many times that they have a unique look to them. I am in love with the gap v-necks and have several in different colors. These pictures were taken on 9-11. Just thinking about where I was 10 years ago and what I was feeling. A fun Paul Frank T-shirt from the Andy Warhol collection. The shorts are Hurley. Ray Ban Wayfarers, and Chuck Connors complete the look. 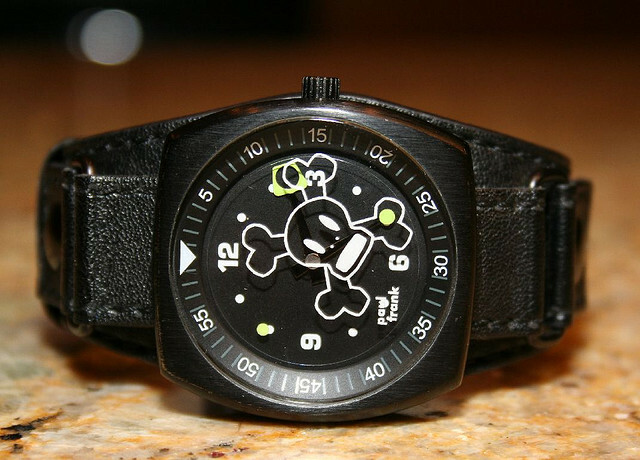 The watch is also from Paul Frank. Can't help but laugh every time I look at it.